Oasis is a six-month full-time attendance program in Campbell River for up to five female youth between 14-18 years. The youth reside in specialized family care homes in the community while attending the strength-based, experiential day program. All youth have access to individual and group counseling; teacher/counselor supported education; social, cultural, and recreational activities; and work/volunteer experience. If appropriate, youth are supported to engage in paid work opportunities. Youth are able to earn 20-25 school credits during their stay. The program helps young women to overcome the complex challenges they face and develop the needed pro-social skills to cope with these challenges. 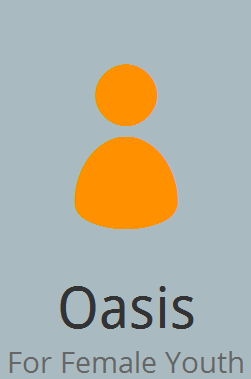 Youth in Oasis may also be eligible for one or more home visits. All home visits must be approved by the youth’s probation officer, the Oasis team, and the program manager. How can the program help you? We would like your feedback. Please complete our survey. Don’t be shy, we want to hear from you!